※ The Special Bracket Accesory may change the product depending on the manufacturer's situation. Please note. 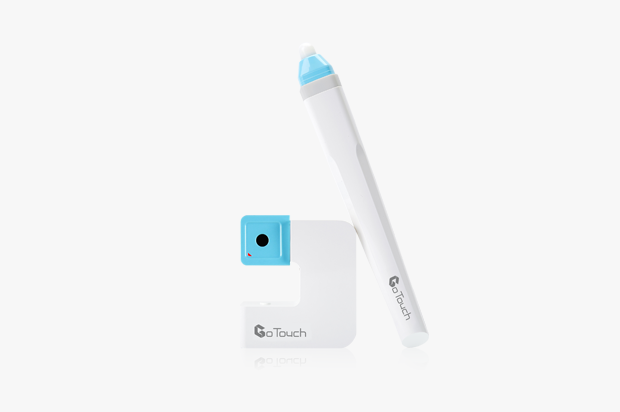 GoTouch is a portable, easy-to-use device that turns any display screen into an interactive digital whiteboard. 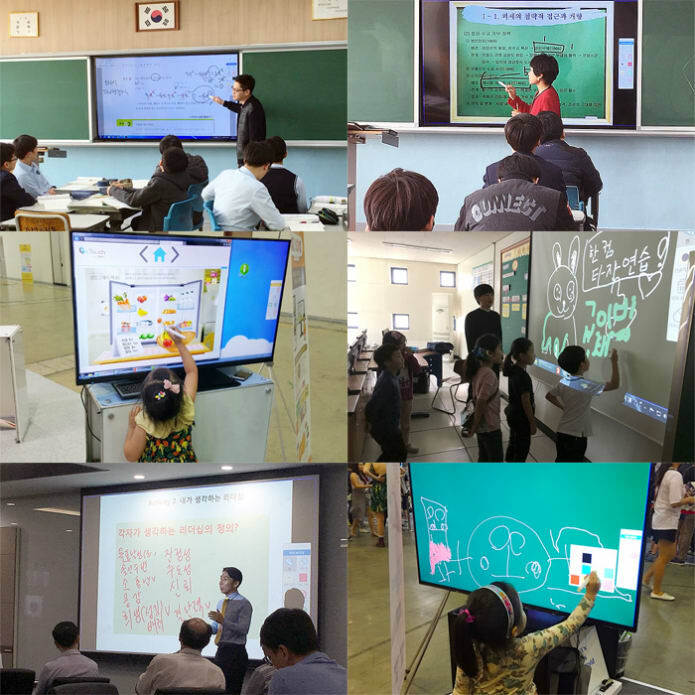 whiteboard for interaction and collaboration. Let everyone come together, and explore and expand on ideas! Great ideas begin with a scribble – on a napkin, a chalkboard, or a piece of paper. But these ideas won’t become reality if left alone. 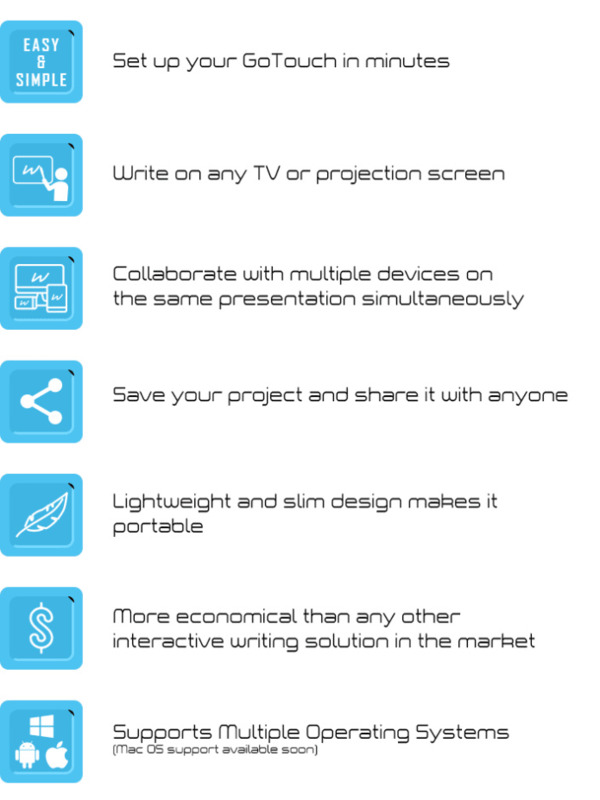 by sharing, collaborating, and presenting them! 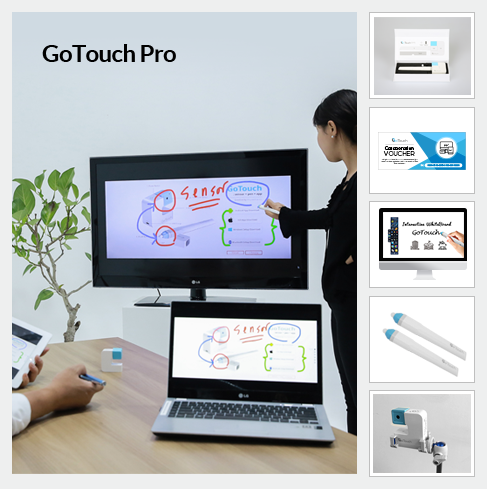 GoTouch is a portable, easy-to-use device that instantly turns a TV, projector, or any display screen into an interactive digital whiteboard. 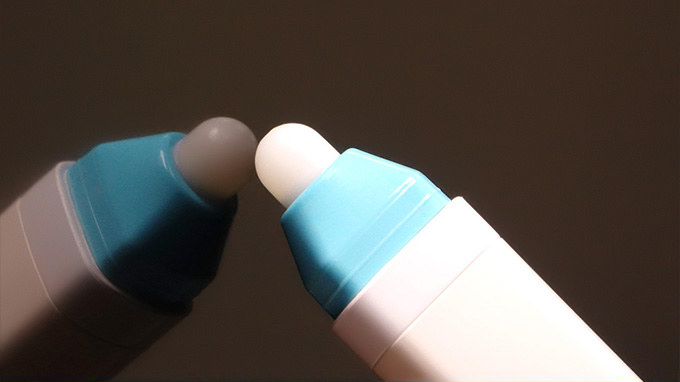 It comes with a special stylus that allows you to draw on the screen. It’s all about sharing and developing ideas. Whether it’s a simple conversation over breakfast with your family or pitching a presentation to your clients or teaching children in a classroom, we constantly express and exchange our ideas and knowledge. GoTouch touches this part of our lives. It visualizes our conversations and allows us to loop in more ideas and perspectives: anywhere, anytime, with anyone. 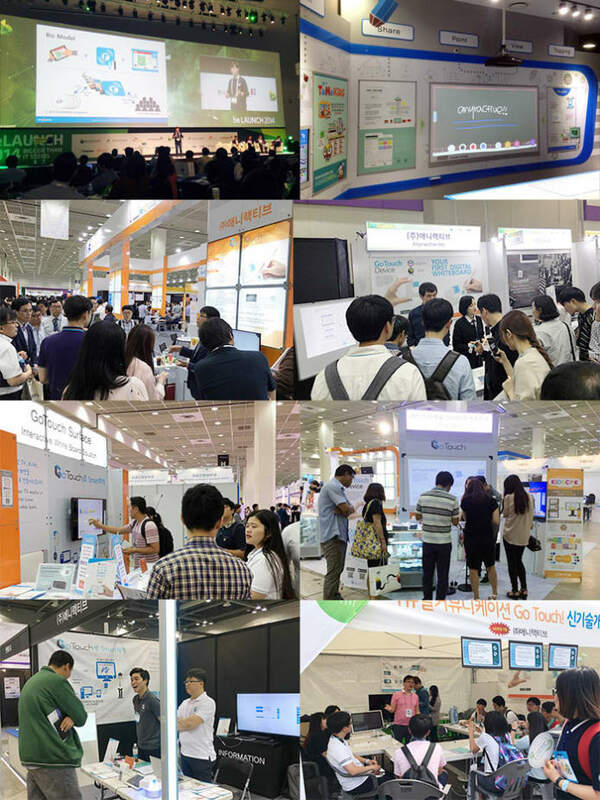 Imagine what you can do with GoTouch. 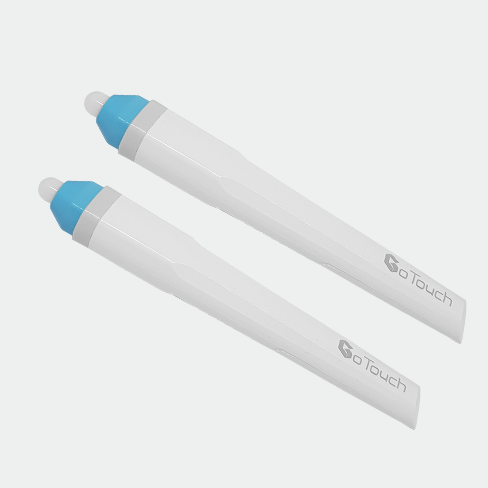 Draw and write your ideas with the GoTouch Pen and share as you go via the GoTouch App. 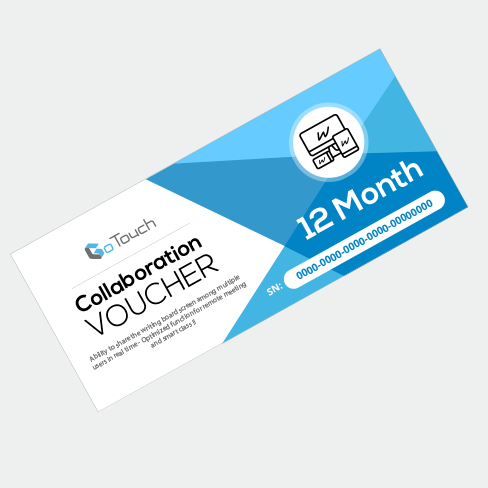 Get visual feedback and collaborate with your team across the globe in real-time. Ready to present?  Make your presentation interactive and get immediate feedback from your audience using GoTouch. 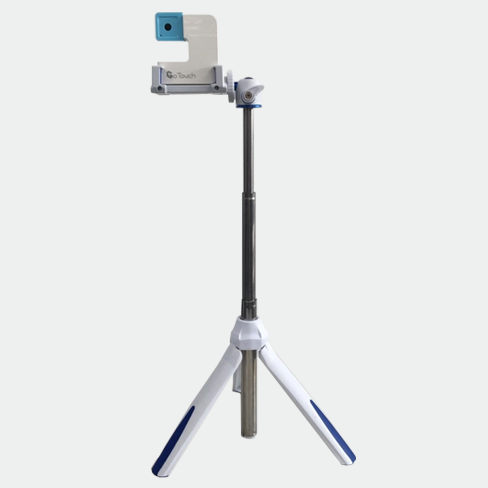 Turn the projector screen in your classroom into an interactive whiteboard using GoTouch. 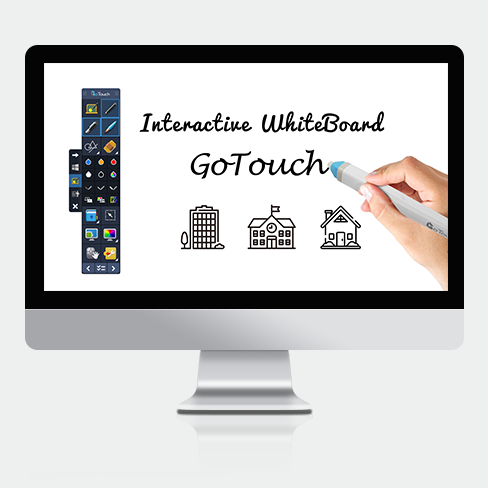 Invite your students via the GoTouch App and let them open their work and write on your whiteboard from their seats. Make your class a truly interactive experience! 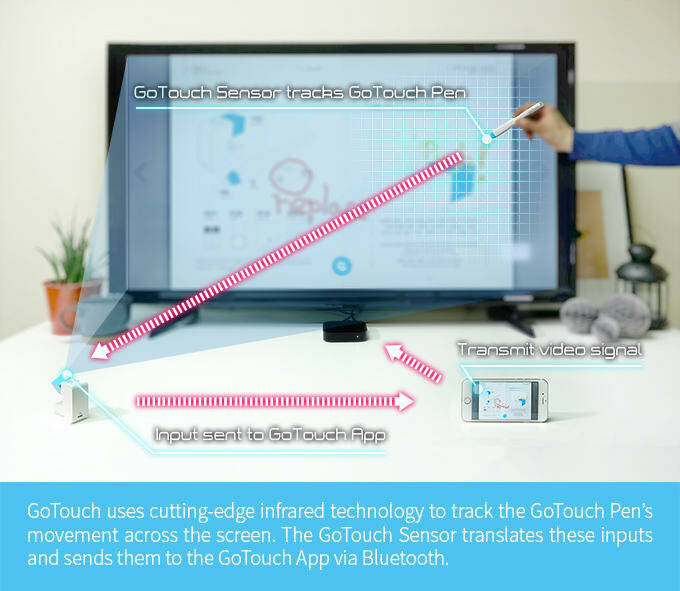 Turn your TV into a gigantic digital family fun board using GoTouch. Let your kids draw and play. Share whatever you’re viewing on your smartphone onto this family fun board and fill your evenings with fun and laughter. 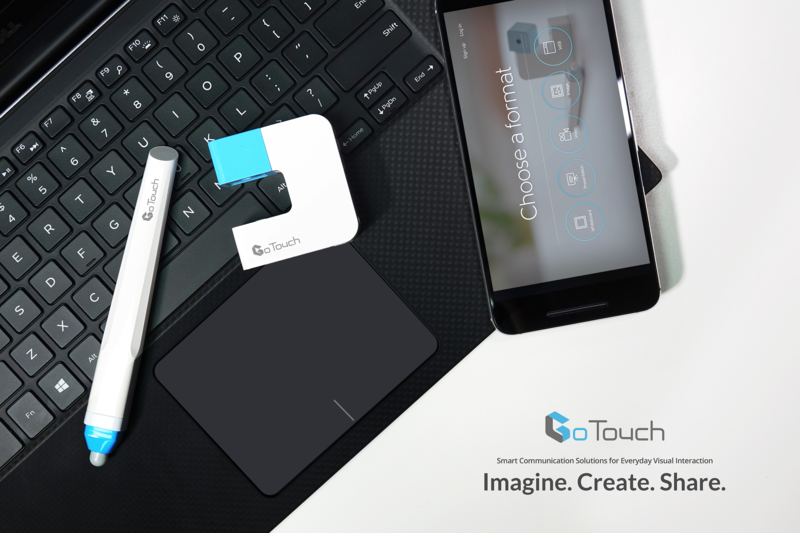 Take GoTouch to your workplace, your classroom, your children’s playroom, or anywhere you want and see how it will change the way you do things! and The nib is spring structure, so you can feel the natural and soft writing feeling. 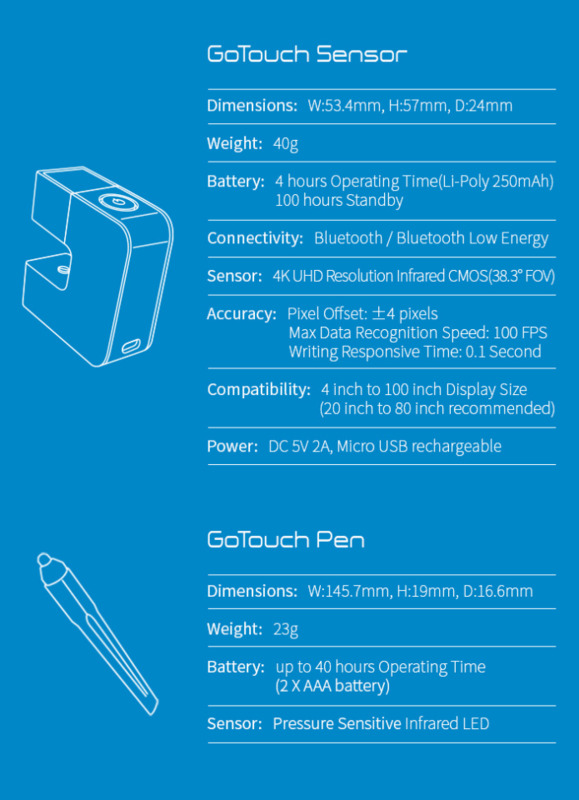 GoTouch uses a 4K Ultra HD CMOS sensor to track the infrared light in the GoTouch Pen, giving it pinpoint accuracy. The sensor runs at 100 frames per second, which is more than 3X faster than the refresh rate of every TV. This means you won’t notice any lag while drawing. Before purchasing the product, Please check if your PC supports Bluetooth. 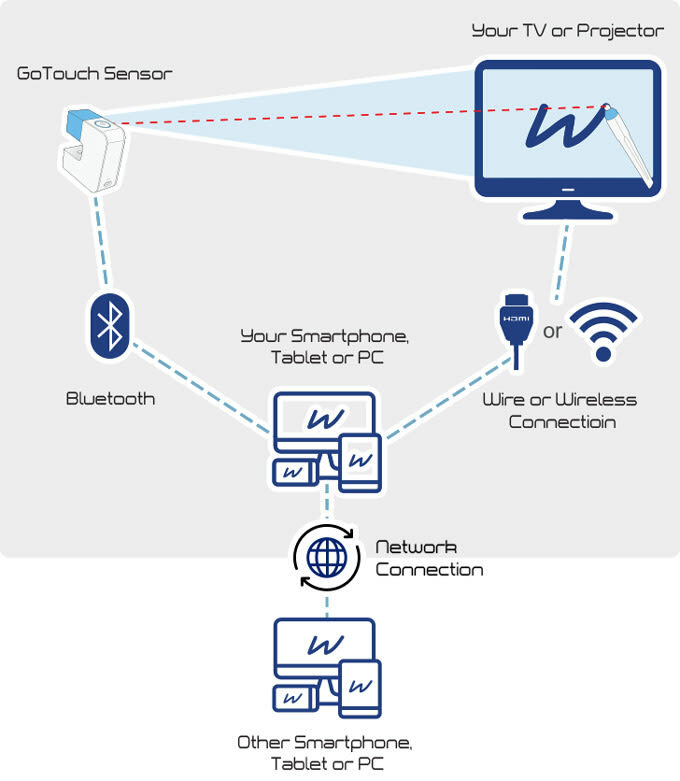 If it is 'False', you have to purchase an additional Bluetooth dongle from the option.